Canada has a rich and diverse alcohol industry that is definitely worth exploring. This website focuses on the different topics that relate to drinking in this country. We have divided each subtopic into articles so that you can find the one that most appeals to you. We suggest that readers check out all of our content so that they gain a broader knowledge of beer in Canada. Our primary purpose is to educate, and we hope that readers will learn something new from our articles. Enjoy! Toronto and Montreal are two of the most popular cities to visit in Canada. Both are full of amazing pubs to check out. There are so many that it can seem impossible to find the better ones. We have listed the superior drinking establishments for you. This includes descriptions of what makes each bar unique and why they will appeal to patrons. This consists of some great sports bars where customers can watch the latest games. Canada is also full of breweries that produce some of the finest beers in the world. A number of these places allow the public to visit them. 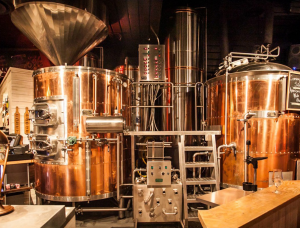 We have a section of the site that goes into detail on brewery tours within Canada. We give advice about finding the best trip for you. Big companies are not the only ones who supply the country with tasty, high-quality beer. There are plenty of microbreweries that make indie beverages for the general public. There are so many of these smaller brewers in Canada that there is no way to come up with an exact number. There are however some that have gained the attention of alcohol experts. These microbreweries supply customers with some of the best beer available. They are unique, delicious and innovative. We have an article on the site that tells readers which of these indie beers to seek out. We also talk about what these smaller breweries can do to increase their success in the alcohol market. Of course, a lot of people will want to know what the very best beers in Canada are. It is difficult to pick just 10 from every bottle brewed in the country. However, we have managed to do just that. We have an article dedicated to listing the most superior alcoholic beverages in the entire nation of Canada. This section will be very helpful for people who want to sample the best beers available.